Exotic good looks and an affordable price tag? Laugh no more. 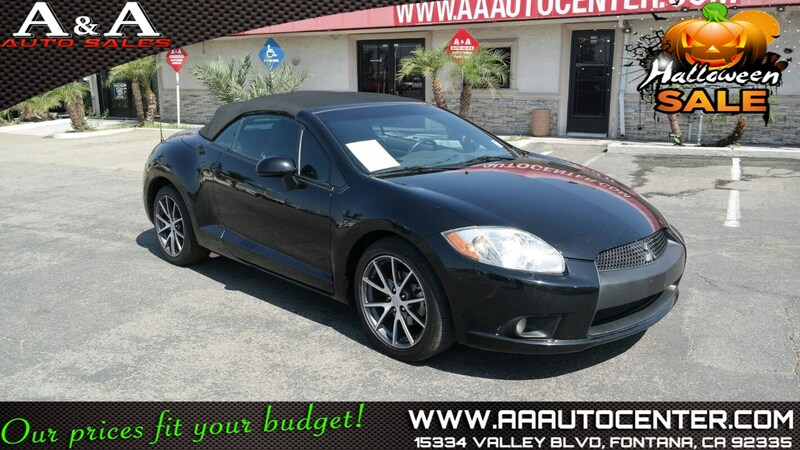 Introducing the 2012 Mitsubishi Eclipse GS Sport shown in Kalapana Black. Powering this coupe is a 162hp 2.4 Liter 4 Cylinder for smooth acceleration and the Automatic makes your drive fun yet efficient with up to 28mpg on the open road. Outside, the aggressive stance is complimented by a set of sporty alloy wheels, HID headlamps and sleek rear spoiler. Step inside the cockpit and you'll find a futuristic dash, sport bucket seats and features galore. Power door locks and windows, air conditioning, a premium audio system and a split-folding rear seatback are just a few of the features standard for your convenience. Don't let the exotic looks fool you, underneath the sleek body are safety features designed to keep you and your friends safe and out of harms way. 4-wheel anti-lock brakes, traction control and front/side airbags are all included for added peace of mind. The Eclipse has been an icon since the early 1990's so don't pass up your chance of owning one of America's most loved sports coupes. Print this page and call us Now... We Know You Will Enjoy Your Test Drive Towards Ownership!